Derale Remote Mount Transmission Filter UNIVERSAL - Dezod Motorsports Inc - Home of the automotive performance enthusiast since 2002. 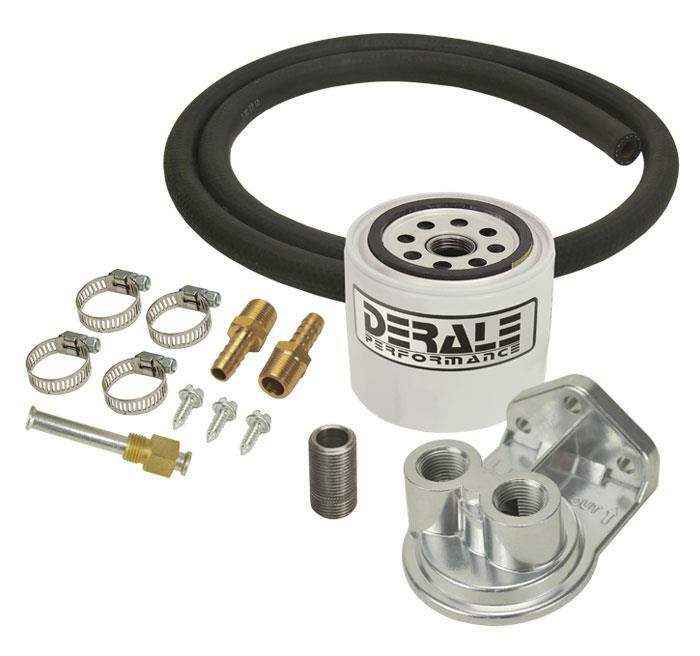 Our universal remote transmission filter kits enable quick and efficient filter changes and filter out contaminants that pass through OE-screen type filters. The premium version also includes our temperature gauge package with sending unit, mounting brackets and hardware. The increased fluid capacity also cools fluid temperatures helping to extend the life of the transmission.